Does your business accept credit cards? 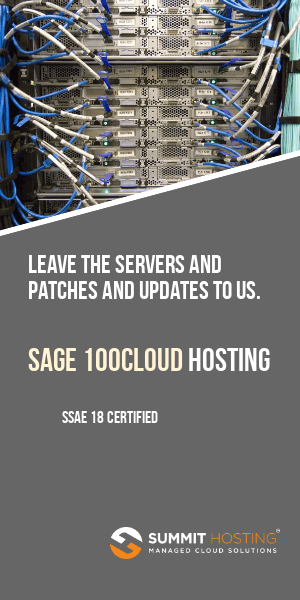 Are you using Sage MAS 90 or MAS 200? Did you know that Sage offers a free solution that will allow your accounting software (Accounts Receivable and Sales Order) to accept credit cards right within the module. You can maintain customers credit card data (fully encrypted) and use their card for future purchases. All data entered via credit card is automatically validated with pre-approvals obtained directly from the Sage Payment Services processing bureau. Interested in how this works? Here’s a quick 5 to 10 minute overview that demonstrates the entire process of accepting credit cards into MAS 90. The video is a little scripted but I think covers all the major points and serves as a good example of how this works within Sage MAS 90 and Sage MAS 200.